GLF was established to assist and empower underprivileged communities with specific focus on providing nutritional support to children. The beneficiaries of GLF are marginalized, disadvantaged and vulnerable children. GLF attempts to provide nutritional support to as many disadvantaged learners as possible daily. GLF is committed to not only feeding the future but also empowering our children to make healthy LIFESTYLE CHOICES through LIFESTYLE AWARENESS. GLF intends on impacting on the future health of our beneficiaries by encouraging healthy lifestyle choices through a range of positive activities and mentors visiting targeted schools to give awareness talks and encourage positive lifestyles and activity. 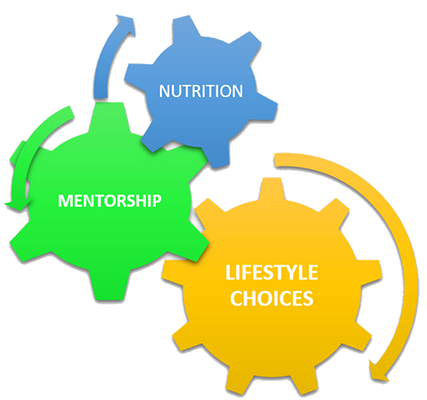 GLF’s core responsibility is NUTRITION. In tandem with our need to feed is the responsibility to nurture the holistic health of the child. Most of our beneficiaries are considered vulnerable children as they hail from impoverished, informal and refugee backgrounds and have low levels of protection against various forms of abuse, teen pregnancy and HIV-AIDS infection. The current teen pregnancy rate and HIV-AIDS statistics amongst our youth is cause for concern especially when the future burden to the State Welfare and Social system is considered. In the period 2016-2017 KZN alone reported 200 pre-teen pregnancies amongst learners in Grades 3-5. This shocking statistic reveals the need for both education and empowerment amongst our foundation phase learners. Teen pregnancy and high rates of HIV-AIDS infection in youth perpetuate a cycle of poverty and place enormous burden on the Social and Welfares systems in the future. GLF intends to leave its footprint by not only nourishing foundation learners but engaging in programs that promote POSITIVE LIFESTYLE choices and awareness in the hopes of assisting our learners to avoid both pregnancy and HIV-AIDS whilst engaging in more positive activities. GLF is a lifestyle and brand committed to the holistic development of our children and the communities around them. PROVIDING NUTRITIONAL SUPPORT (BREAKFAST) to disadvantaged beneficiaries specifically children. INITIATING MENTORSHIP PROGRAMS THAT PROMOTE POSITIVE LIFESTYLE AWARENESS by promoting the sexual health and safety of vulnerable and disadvantage learners. PROMOTING POSITIVE LIFESTYLE CHOICES by encouraging a Preventative lifestyle that avoids teen pregnancy and HIV-AIDS infection through Positive Lifestyle mentors, wellness experts and role models gleaned from our communities. GLF seeks funding to provide nutritional support to as many learners as possible on a regular basis. The foundation seeks to encourage the holistic health of the child by engaging volunteer trainers, wellness experts, life coaches and fitness experts to educate and empower beneficiaries from participating schools in Positive Lifestyles and choices. Our beneficiaries are severely disadvantaged and regarded as vulnerable children thereby increasing our need to educate and empower them on sexual and personal safety. GLF aims to do this by engaging the support of corporate and private partners. 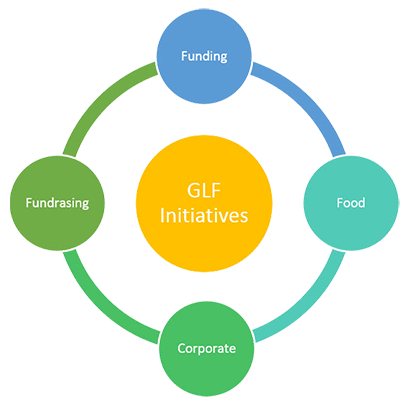 GLF welcomes Funding, Food and Product sponsorship as well as the voluntary services of wellness and lifestyle experts. Wellness/Sexual Health experts from corporate or private organisations to visit participating schools and empower our beneficiaries through talks, activities and mentorship sessions. Public Awareness of the GLF brand, family and lifestyle, i.e. GLF Sunday Sessions-An hour of fitness and health led by a voluntary fitness coach in public spaces promoting the GLF mission. GLF would like to instil Positive role modelling through a GLF Brand Ambassador who represents the GLF mission and lifestyle. GLF seeks a current local male known to our beneficiaries through the music or entertainment industry as the Face of GLF to encourage positive choices amongst our young male beneficiaries.